Caption: April, 1985. Workman preparing building materials for temporary shelters. Citation: Mennonite Board of Missions Photographs. Chile, Donald and Marilyn Brenneman. IV-10-7.3 Box 1 Folder 31. 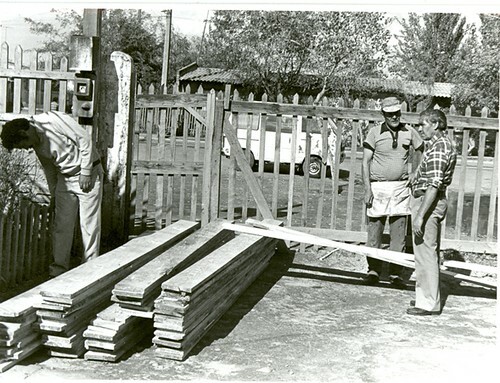 Mennonite Church USA Archives – Goshen. Goshen, Indiana.